Geeklings, a very Happy New Comic Book Day to you all. We are now on day 2,345 of Avengers 4 trailer watch and I have to say it’s starting to take a toll on my psyche. Social media has become a beacon of hope every time I glance at it with the slimmest hopes that the trailer is live only to plunge my soul deeper into the darkness when I discover it has not. I don’t know how much more of this I can take. All these trailer rumors have driven me kind of batty. Avengers 4 on Wednesday. Wait, possibly Friday? If at all. Then you have a Spider-Man Far From Home trailer dropping in Brazil on Saturday. Does that mean it’s coming stateside too? 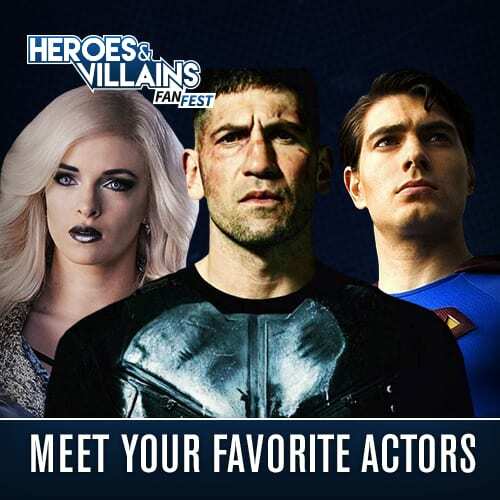 Don’t forget Shazam! 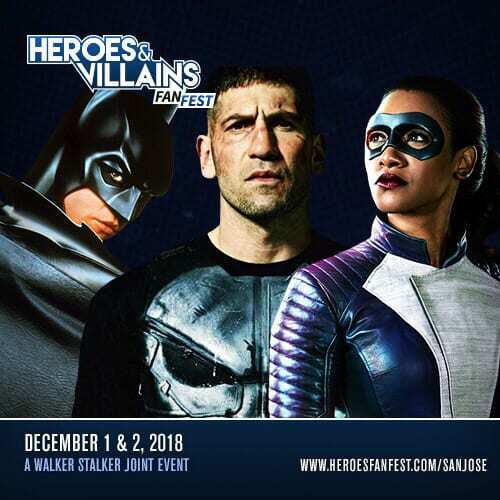 should be getting a trailer on Sunday too to further that Captain Marvel beef. Oh! I almost forgot, there are rumors of The Avengers video game trailer dropping Saturday too… I’m exhausted. And seriously have no idea what to believe anymore. Luckily there’s a number of awesome new comics out today to help heal my shattered mind. Could you imagine if there weren’t?! I’d just be sitting in the corner rocking back and forth muttering things like “It was supposed to be today, it was supposed to be today, it was supposed to be yesterday…”, and that’s not a good look for me. So I’m going to turn my attention to the glory of comic books. Because if one thing is constant, if it’s Wednesday then there are going to be comic books. For that, we say thank you big-big! Now, let’s break down the reads! 1. 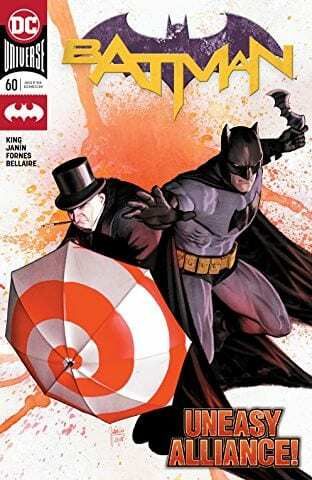 Batman #60– It seems that every week I’m talking about a Tom King book, and there’s good reason for that, his books are incredible! With his, Batman run now hitting issue 60 we’re starting to phase into the endgame of his run (don’t worry there are forty-five issues or so left), but things are going to start picking up steam now though. And issue sixty changes the game in a major way. Major. I read this issue at 6:30 this morning, finished it, put it down, picked it up again, re-read the last three pages, and then began processing. 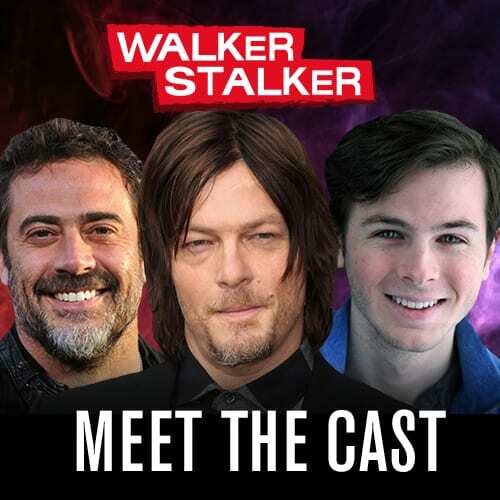 Spoiler alert, I’m still processing. I don’t know who is more dastardly here, Bane or Tom King because I didn’t see this coming, even though there was a hint of it at the end of issue fifty, and now I want to know how it’s possible. I can’t get into any more of it without spoilers but Bane’s attempt to break Batman has reached a new high and the Bat is more isolated than ever. I keep saying that if the point of King’s run is to strip Batman of everything only to re-build him out of the ashes, I’m here for it. At this point, I just don’t know how much more Batman can take… or if he can even rebuild. 2. 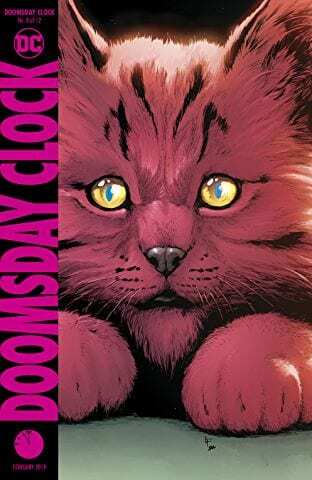 Doomsday Clock #8- There have been some pretty heavy delays when it comes to Geoff Johns and Gary Frank’s Doomsday Clock, but sometimes that’s the price you pay for getting such high-quality storytelling. 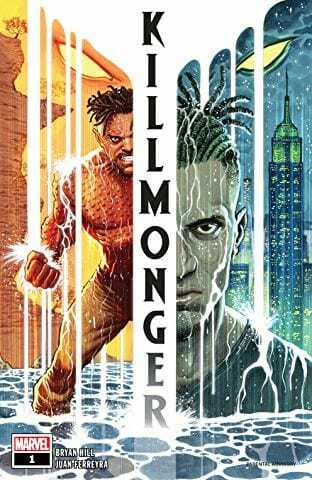 I have loved, loved, loved this comic and can’t wait to read this as one connected volume. I think that’s when the genius is really going to shine here. Issue eight is out today, unless you live in Russia where it leaked earlier this week, and things are really starting to pick up. Last issue saw the emergence of Doctor Manhattan and his reasoning for messing with the timeline. We also learned a bit more about Ozymandias and his true intentions and the hinting of the importance of The Mime and Marionette’s unborn child. What we really haven’t gotten is Superman and considering that this series is hinged on the idea of Supes battling Doctor Manhattan one would have to believe he’ll be showing up soon and in a big way. 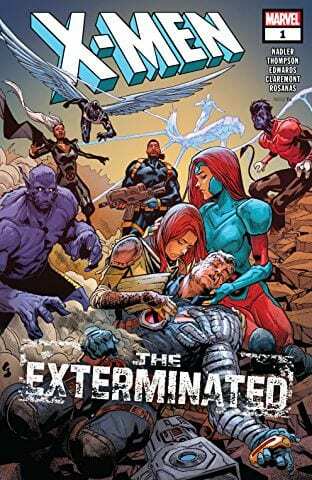 I fully expect issue eight to truly start the endgame and we need to ask ourselves if the DC, or Watchmen, Universe will ever be the same. 3. Shazam! #1– Hope you guys are in the mood for some Geoff Johns this week because not only does he have Doomsday Clock out this week but a stellar new episode of Titans (keep an eye out for my review on Friday), and a brand new first issue for an ongoing Shazam! series! 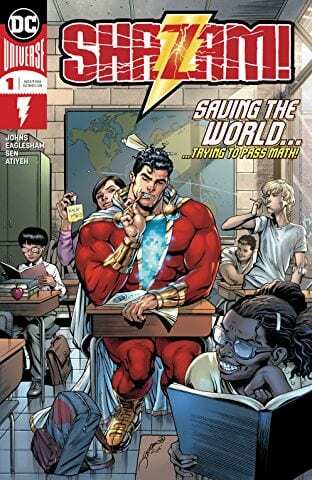 It’s been a crazy long time since Shazam has had a monthly book and with a movie on the horizon for next year it makes all types of sense that he Billy Batson would return to the shelves. 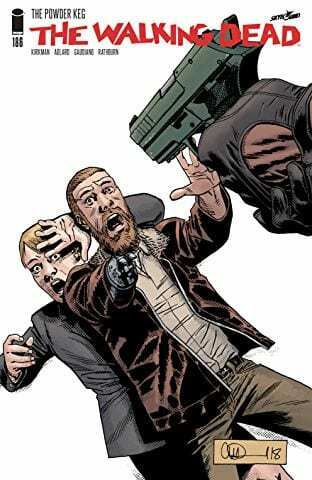 This is not Johns first time writing the character either and after the success of his first run, I am all types of excited to see what direction he takes the character next. 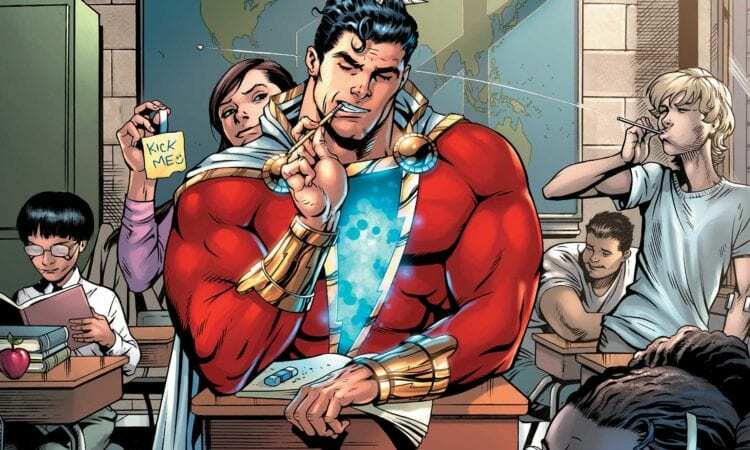 One thing for certain, comic bookshelves are filled with a new sense of wonderment and excitement with the return of Shazam! 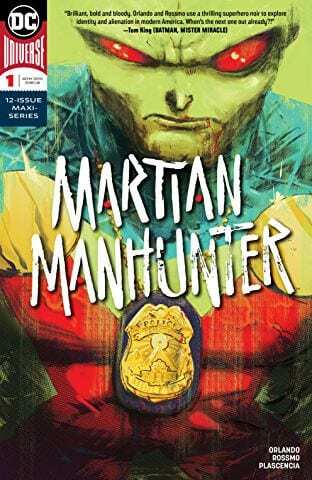 Martian Manhunter #1– Speaking of new series that I’m stupid excited about, may I present to you the first issue of Martian Manhunter written by Steve Orlando and drawn by Riley Rossmo. 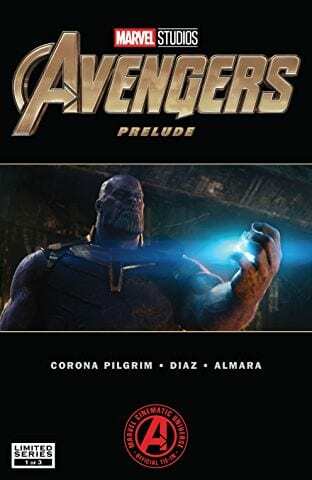 I’ve actually been pretty hyped for this book for a while now and anxious to get my hands on it. From what I understand the series is being dubbed as a detective story that takes us all the way back to the corrupt days of J’onn J’onnz on Mars. With a story that’s supposed to have a number of twists and be a little on the dark side, I’m very curious to see how things play out. Manhunter is given a chance at redemption, a chance he doesn’t deserve or hasn’t asked for, as the story splits time between something that happened in Colorado two years ago and an undisclosed time in the past. This book has all the makings to be something special with a new, unique take on everyone’s favorite Manhunter. I’m here for it. There you have it Geeklings, all the best books to get your mitts on this week. A very heavy DC week as a matter of fact, but here at the Pull List, we can’t ignore awesome books. It doesn’t matter where they’re coming from. As always, if you feel like I’ve left anything off be sure to sound off in the comments. 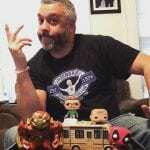 If you’d like to talk comics with yours truly then you can find me on Twitter @iamgeek32. Drop me a line, let’s chat. In the meantime, get your read on! Soooooo many books so little time. I’ll see you all here next week! Happy reading and many huzzahs!